Gone are the days when you had to stand in a queue outside banks just to deposit money or cheque. Even for the simplest inquiries, we had to visit the nearest bank branch. When mobile applications were taking over the world, it also touched the banking sector. This is when the demand for FinTech app development occurred. And today we are here with the greatest digital solution for banking and finance. Mobile banking app development is an appreciable solution that has given banking a different sort of ease and comfort. Mobile banking app features like instant fund transfer, paying bills, checking bank statement, etc. have made the life of customers much easier. There are many other reasons why customers are switching to mobile banking and banks are going for mobile banking software development. Why are Customers Switching to a Mobile Banking App? With a mobile banking application development, customers get access to banking services 24 hours of the day and 7 days of the week. The traditional way of banking included opening hours, lunch breaks, closing hours, national holidays, etc. which did affect the accessibility of the services. With banking application development, many problems can be solved. The apps provide features to transfer funds, update customer details, take payments, pay bills as well as shop online. Recently Paytm, the eCommerce payment platform, announced its Paytm Bank to the public. The app already had users and introducing banking facilities was a great move. Mobile banking application development makes banking transactions cost effective. There are no charges taken by the bank to provide online banking services. The use of the app is also a time saver since you don’t have to visit the branch every time. Mobile apps are operated with a couple of taps and the work is done. Mobile banking developments are loved for this reason the most. With a few clicks, users can transfer money to anyone around the world and it doesn’t even take more than a minute. Now you must be wondering ‘How to start making a banking app?’ but before you do that, there are other things you must know. 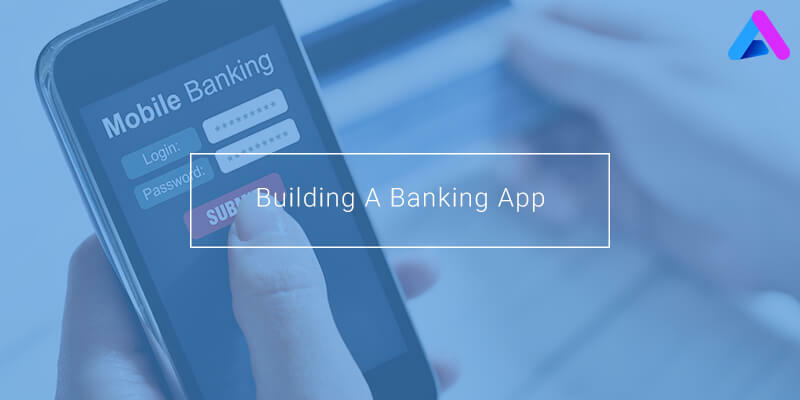 There is no easy way to build a successful mobile app and when it comes to mobile banking application development, things get a little tricky. Banking apps need to be platforms that people can trust and carry out transactions with ease. While developing a mobile banking application, a developer and the app owner must keep in mind the following important points. Be it mobile banking apps for Android or iOS, securing the app is going to be crucial. From the data gathering above, it is clear that trust and security is the main reason a customer would not go for mobile banking. Mobile banking technology must be highly secured to keep customers’ private data safe. It should also be hack-proof and safe from any cyber attack. It is commonly assumed that banking mobile apps will only be used by millenniums and not any other age group. This is untrue. Most baby boomers and senior citizens still use mobile banking apps. And a percentage of millenniums are highly unsatisfied with their current banking apps which proves that the assumed target audience is wrong. These were some mistakes that must be avoided during banking app development. The UX of the app is, without a doubt, a success defining factor. Future of mobile banking depends majorly on the UX of the banking apps. The importance of UX design in apps is understood when a user faces constant glitches, poor functioning and poorly interactive apps. The UX should be interactive and built with the aim of providing the best user experience. A good UX can bring in more loyal customers. If you are working with mobile banking application development companies then there’s a less chance of mistakes. The reason being, they have experienced developers and creative designers. They will also run the mobile app through multiple tests for best results. But if you are doing this on your own or with a freelance developer, it would be wise to make sure your app runs through all the tests. Which crowd are you building for? Android supporters and iOS supporters are in a constant argument regarding which one is the best for app development. Even though Android has more mobile users, iOS has more conversion rate. Keep in mind the direction you want to go in in the future. Also, the devices for which the banking and finance software solutions will be developed must be taken into account too. Customers may switch from phones to tablets and vice versa. Therefore the apps must be developed in a way that it can be operated on multiple devices. The login and registration page with for users. This feature must allow users to login with email ID or phone numbers. The mobile app should be able to show the updated online passbook and transaction record to the users. The app should also let users create a user profile so that they can put information like name, IFSC code, account number, DOB, etc. Other services such as money transfer, bill payments, etc. should also be included in the features. A user should have the freedom to do more than just see the deposits and withdrawals history. Push notifications send constant reminder to the users. Things like debit and credit in the account or alerts to avoid fake calls and messages, etc. Customers should also be able to use their bank apps in offline mode. This may be helpful when they can’t get a network connection in some areas. Customer support is also a crucial banking application requirement. Customers should be allowed to contact the bank officials in case of queries. 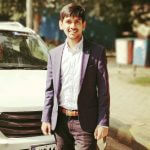 Mobile banking app development will have 10 interesting trends in 2019. Despite all the rumours around the financial sectors, the growth remains progressive for banking mobile apps. Advanced technologies like IoT, Voice, etc. Exploring new talents in the sector. It is the first time when big data and analytics are more important in mobile banking app development than user experience. This only proves that the banking industry is progressing faster than anticipated. However, this also puts forward the thought that the growth of large financial institutions might be a danger to small banks. Among these 10 banking trends, the top 3 trends have come as quite a shock to people. The traditional way of storing data and information was quite tiring and the massive number of transactions a single day made it even more tiresome. The top three trends are a result of that issue. These banking trends are moving so fast and making the lives of customers easier each day. The more the advancement in technology, more innovative app development for banking apps get. Another banking trend is chatbots in banking as its helping in fraud prevention and profitable marketing. If you have any queries related to banking app development contact our team of developers at Appinventiv.